After more than 500 shows. The final edition of Media Network Plus will air April 28, 2018. While Media Network Plus is coming to an end this weekend. MNP will be retooled and will be returning as a 6 part television series. I will be remaining as executive producer, but each program will have a different host. The new documentary format will be 25 minutes in length and will focus on one issue per program. The first six programs are currently in production and will include the following topics. Program 1 – With Chinese president Xi Jingping changing the constitution so he can remain in power for as long as he wants. What is this going to mean for the Chinese media of the future. Program 2 – With the crisis with the Rohingya people on going. We will be examining the media’s role. Program 3 – Robert Mugabe may no longer be the President of Zimbabwe. What will this mean for the Zimbabwe Broadcasting Corp. and independent media in the country. Program 4 – A special program from Pyongyang, North Korea. With a visit to Voice of Korea. The first ever foreign TV crew allowed to visit the station. Program 5 – Will look at how countries in East and Southeast Asia are trying to combat misleading news and information. Program 6 – Pan-Pacific Special. This program will look at the changing media landscape across the Pacific and how new media has been a driving force in the changes to society across the region. This entry was posted in News and tagged Keith Perron, Media Network Plus, PCJ Media on April 24, 2018 by Thomas. September 18th and 19th PCJ Radio International will present part 3 of From The Radio Netherlands Archives. In the 1960s to the late 1970s Radio Netherlands produced radio dramas that were for export to radio stations overseas. Some of the radio plays were commissioned specially for RNW and others were adaptations of popular Dutch plays. There will be a special E-QSL issued for this program. 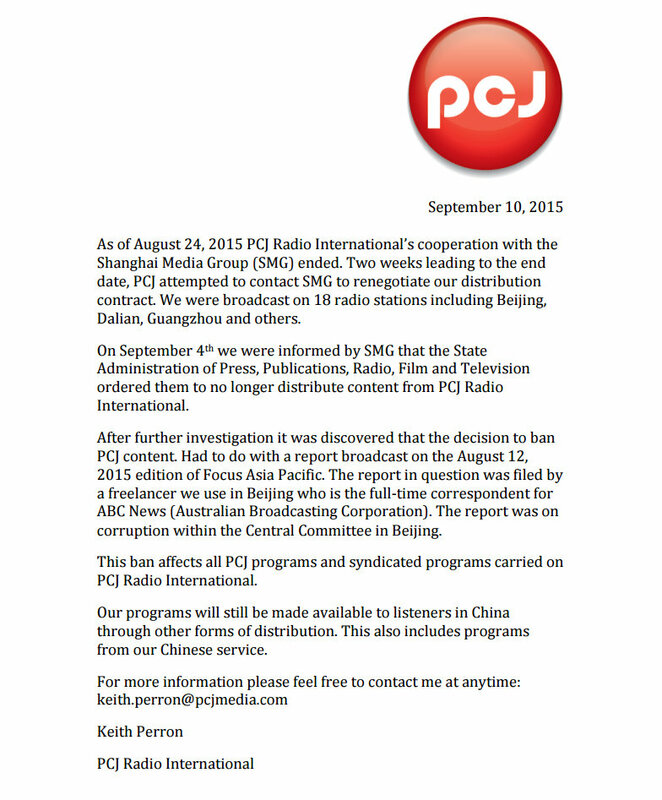 PCJ Radio International’s partner stations will receive this program in two parts. The program will be presented by Paulette MacQuarrie. This entry was posted in News, Shortwave Radio, What's On Shortwave and tagged Keith Perron, PCJ International, PCJ Media, Radio Netherlands, RNW, shortwave on September 8, 2016 by Thomas. At the last minute we had to make a frequency change for our special broadcasts to Europe. 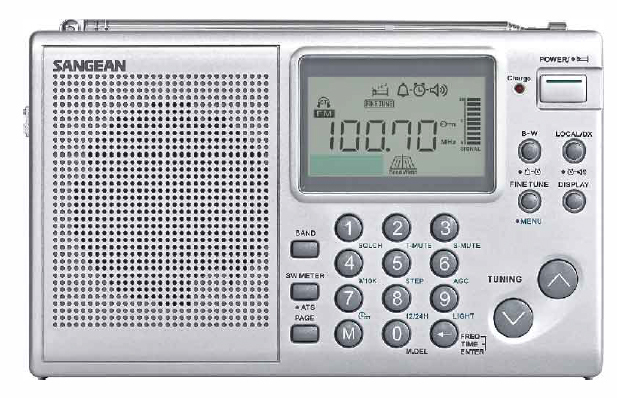 But we will not be using 17825 khz. The new frequency is 11580 khz. Richard points out that PCJ has switched their transmitter site from Trinco to WRMI; because of this, listeners in North America might also be able to hear the programs. This entry was posted in News, Specials and tagged Keith Perron, PCJ International, PCJ Media, Richard Langley on November 13, 2015 by Thomas. This entry was posted in News and tagged Keith Perron, PCJ, PCJ International on September 13, 2015 by Thomas. The review’s at the beginning of the episode and Keith had multiple complaints about performance, build quality and the radio’s overall engineering. I don’t remember him having anything positive to say about it. Sad because I had hoped this new Sangean would be better. Thanks for the link, Mike. For what it’s worth Jay Allen was actually mostly impressed with the ATS-405. I’ll receive an ATS-405 later this week; and I’m very interested to see how it compares to other portables like the Tecsun PL-310ET, CC Skywave, and Tecsun PL-660. I’ll certainly report on what I find. This entry was posted in New Products, News and tagged ATS-405, Keith Perron, Sangean, Sangean ATS-405 on July 13, 2015 by Thomas.